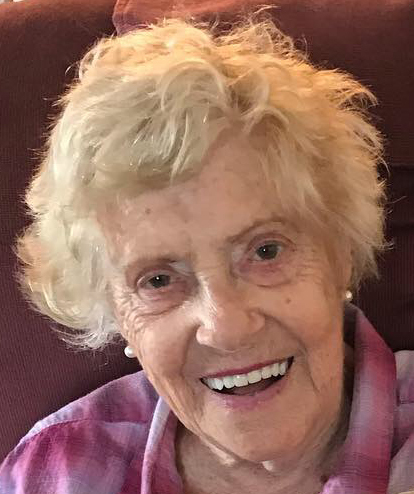 Obituary for Gerda Brown | Prairie Sunset Funeral Home, Ltd.
On November 12, 2018 in St. Albert, Alberta, Gerda Brown left this life to be with her Heavenly Father, whom she loved and served faithfully all her life. Gerda was preceded in death by her parents, Daniel and Valborg Andersen and her daughter, Dawn-A-Lee. She will forever be remembered by her loving Husband, Bill Brown; Sons, Kerry (Susan) and Daniel (Sandra), Grandchildren; Lindsay, David (Lindsay), John (Stacey), Micah, Robin (May Linn), Daniel Jr. (Jennifer), Allison (Aaron), Joshua and Andrew. Gerda also had six Great Grandchildren, Sadie, Caleb, Titus, Isaiah, Avery and Nora. She is also survived by her two sisters, Ellen (Harry) of Edmonton and Birte of Denmark. A Celebration Of Gerda’s Life will be held: on Thursday, November 29, 2018 at 2:00 P.M.